iPhone 5 Event September 12: Which iOS Game Will Apple Showcase? 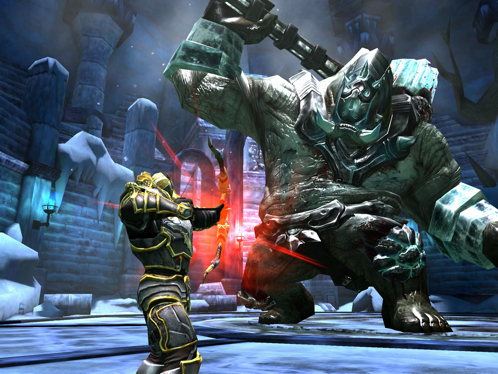 With iPhone 5 rumored to be more powerful than iPhone 4S, the graphically rich Infinity Blade: Dungeons or Real Racing 3 could be on full display. Now that Apple announced its September 12 iPhone 5 event, it's time to ramp up the speculation machine more than usual. Expect to see just about everything in the days ahead, from rumors about the screen to the device's overall power compared to iPhone 4S. On that note, we'd like the introduce games into the equation. Typically, Apple doesn't spend much time discussing the latest and greatest iOS titles at its keynotes, but the company normally highlights one upcoming game that best showcases the new iPhone or iPad's strengths, mostly when it comes to graphics. With this in mind, we came up with a list of games that deserve to take center stage, with millions watching. 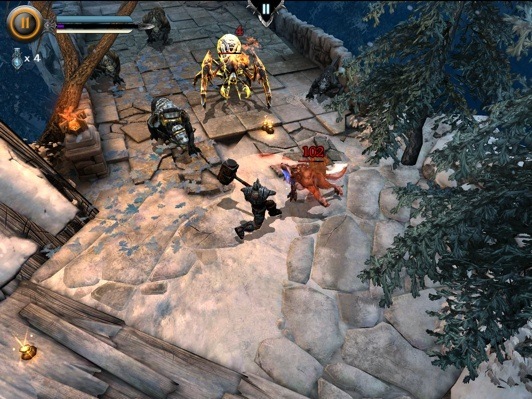 Apple has partnered with Epic in the past to unveil Infinity Blade games, so the odds of seeing the new Dungeons spin-off next week are high, especially since it's been under wraps for most of the summer. It may not be as graphically rich as Infinity Blade 2, but there's still plenty of eye candy to absorb from this monster-slashing adventure. Why does it make sense? To show what Dungeons looks like on the bigger iPhone 5 screen, thus crushing reports of iPad exclusivity. The newest entry in the award-winning series looks incredible in the past couple of videos, and we feel Real Racing 3's near photo-realistic sports cars would do an excellent job showing the world what iPhone 5 can do. As far as mass appeal goes, we have a feeling more consumers want to step behind the wheel of a Porsche than hack monsters to bits. Fishlabs mysteriously delayed its Galaxy on Fire 2 HD expansion to September, perhaps because the developer already met with Apple about putting this gorgeous space exploration game on stage September 12. 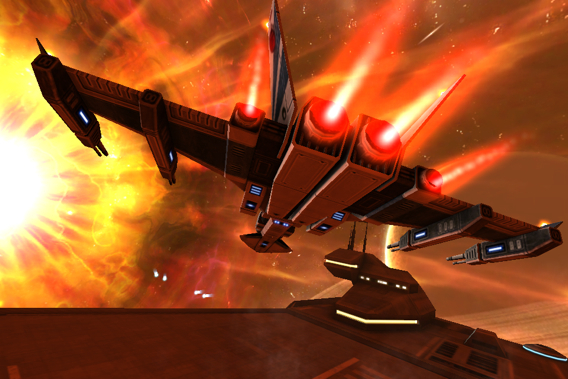 One thing's for sure, Supernova would make quite the impression. 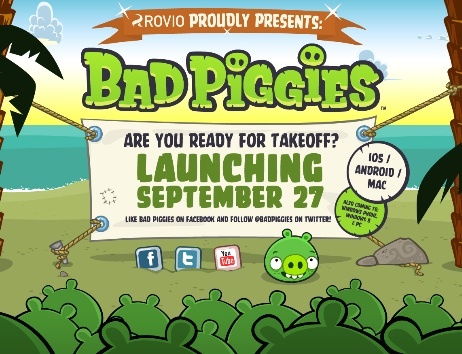 Know this: Rovio Entertainment plans to release its new Angry Birds title, Bad Piggies, at the end of the month, which may coincide with the iPhone 5 debut. Would be a smart idea to pair the new hardware with one of the biggest mobile franchises on the planet. Gameloft's first Unreal Engine-powered game arrives September 6, delivering incredible graphics that should help raise the bar for what we expect from smartphones and tablets. Seeing it September 12 would be a slight letdown, as it would've been available for a week already, but thus far, Wild Blood appears to be a visual showpiece for any device. For all we know, Chair Entertainment is hard at work on the next installment to the Infinity Blade franchise, with plans to launch this December. Seems unlikely, though, with Dungeons on the horizon. Of course, there's always the chance of Apple unveiling a new game we haven't seen before, either a sequel to an App Store smash hit, or some unproven intellectual property with a huge upside. 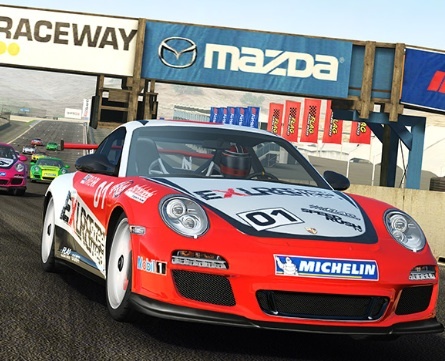 Although we're tempted to go with Supernova (that delay is hard to ignore), Real Racing 3 seems like a safer bet. 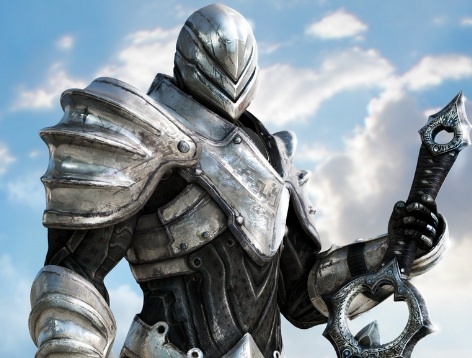 Infinity Blade: Dungeons already had its time in the spotlight earlier this year at the new iPad unveiling, and right now, few games can match Real Racing 3's drool-worthy visuals.